ADDIS ABABA — Inside Bereket Woldeab’s office at Ethiopia’s Public Health Institute in Addis Ababa, two things stand out in an otherwise bare room. One is the impressive microscope on top of the desk. The other is the plethora of black hardcover files stacked everywhere. These black files contain more than 14,000 handwritten notes and pathology reports regarding the health status of cancer patients—their tumors, diagnoses, treatments, progress and other details. Now, thanks to a project with the University of Michigan School of Public Health, these hand-written files are finding a place in a streamlined online database that can be used for research, look for patterns and assist public health officials with better information that is used in the management of cancer and ultimately, cures. 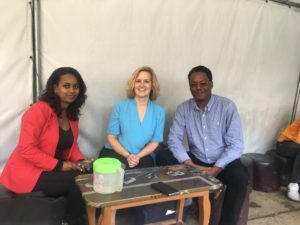 Two students from SPH spent the summer in Ethiopia’s capital transferring this massive pool of information into an international format that is provided and supported by the university. The project grew out of a chance meeting between Woldeab and cancer researcher Laura Rozek, associate professor of public health and director of U-M’s Global Cancer initiative. Rozek was in Addis Ababa with her two students when she ran into Woldeab on the street outside the institute. Her students’ internship had just fallen through. “I asked Woldeab if he had a project for the students,” Rozek said. “They started something that we needed but didn’t have,” Woldeab said. Woldeab, an Eritrean, arrived in Ethiopia a decade ago fleeing political persecution in his home country. Today he heads the pathology laboratory for St Paul’s Hospital and hopes that this database will help them to better understand the cancer burden in Ethiopia. “This will become the benchmark on how to do a standard pathology report,” he said. 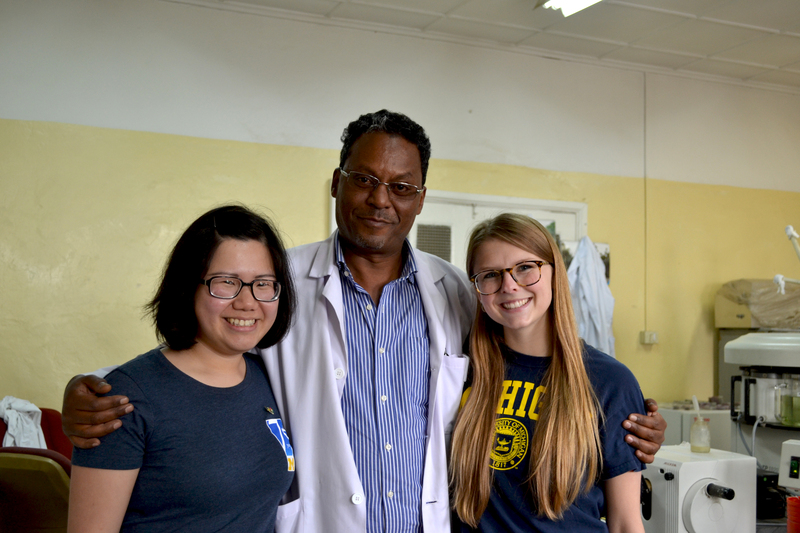 U-M graduate students Claudia Djimandjaja and Olivia Bouchard spent countless hours importing and “cleaning” data in Woldeab’s department in northwest Addis Ababa. As part of their work, Djimandjaja and Bouchard also navigated the city’s kebeles, Addis Ababa’s small neighborhoods and shanty towns, jostling blue taxis. 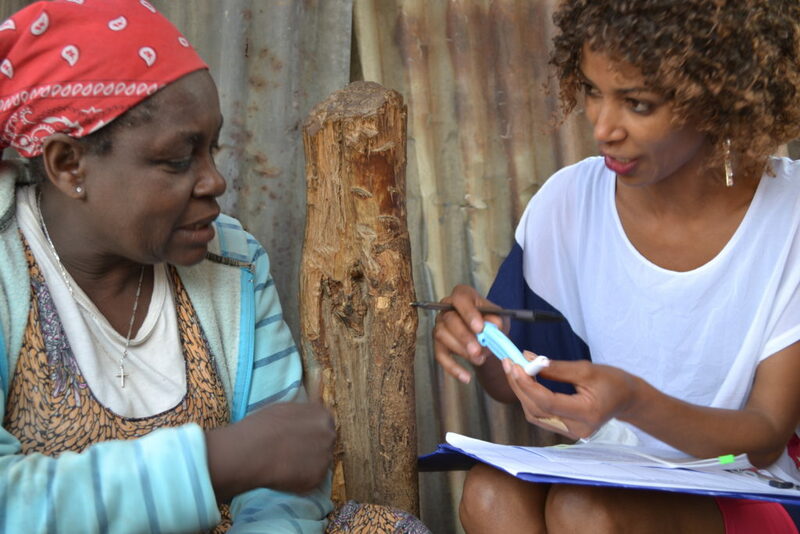 They visited local residents to collect samples and design a better way to perform cervical cancer screenings. “We learned how to adapt research and treatment in under-resourced environments,” Bouchard said. Ethiopia is a country of 100 million people. Located in East Africa just above the equator, it has overtaken Kenya as the fastest-growing nation in the sub-Saharan region. As its fortunes improve, the country is rushing to build new infrastructure, hospitals and universities. This developing climate has created a demand for engineers, educators, doctors and researchers. With this dizzying development, the medical community’s focus is increasingly shifting from infectious diseases like malaria, cholera and tuberculosis to chronic diseases including cancers, heart disease and diabetes. According to the 2009 World Health Organization report, cancer is growing in Ethiopia with nearly 14,000 new cases each year, and about half of them are cervical and breast cancer. “Like in many developing countries, very few women receive screening services in Ethiopia,” said Rozek, who has projects researching cervical cancer in Thailand and the Middle East. As a result, most patients arrive for treatment when the cancer has reached an advanced stage. For Woldeab, these developments couldn’t come any sooner. The making of a slide for cancer detection is a laborious process and it is done, mostly manually, in a few centers, including St. Paul’s Hospital and Millennium Medical College. The sample collection starts in the operation theater, where suspected tumorous lesions are put into formalin-filled containers and brought into the pathology laboratory. The biopsy specimen then undergoes a series of processes ending with a standard 75mm by 25mm histology slide ready for evaluation under the microscope by a pathologist. In the best centers, the process takes about 24 hours, but at Woldeab’s lab it can take up to a week, sometimes even a month. “That is too late for the patient,” Woldeab said. 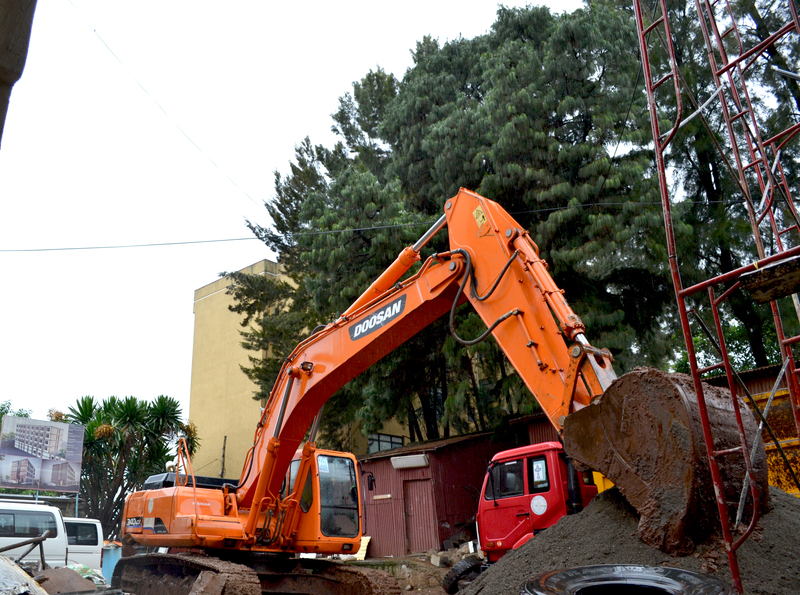 Work is in progress for a cancer treatment center at St. Paul’s hospital in Addis Ababa. But that is changing as well. A large billboard shows a picture of a new building as bulldozers get to work. By the end of the year, Woldeab says, the hospital will have a new cancer treatment center with 350 beds and a new set of the latest pathology equipment that will make the entire process of cancer detection automated. This will allow them to reduce the turnaround time between sample reception and report generation, while broadening their diagnostic capacity, both in quality and quantity. With this increased capacity comes a need for additional pathologists trained in reading the reports. As part of a new health care policy, the government is focused on building more medical schools to train a new generation of physicians. St. Paul’s Hospital and Millennium Medical College are doing their part to educate young doctors as well. They launched a residency program in anatomic pathology two years ago. Similar programs also have started at Awassa University, Jimma University and Mekelle University. Before, the only residency program for Ethiopia was at Black Lion Hospital. “You have to dream big,” Woldeab said. U-M has been a close partner and ally to Ethiopian researchers since the partnership begann 2011. At that time, Senait Fisseha, adjunct professor of obstetrics and gynecology at U-M, invited Ethiopia’s health minister Tedros Adhanom Ghebreyesus to the university. The initial discussion of possible partnerships now involves more than 10 schools and colleges. 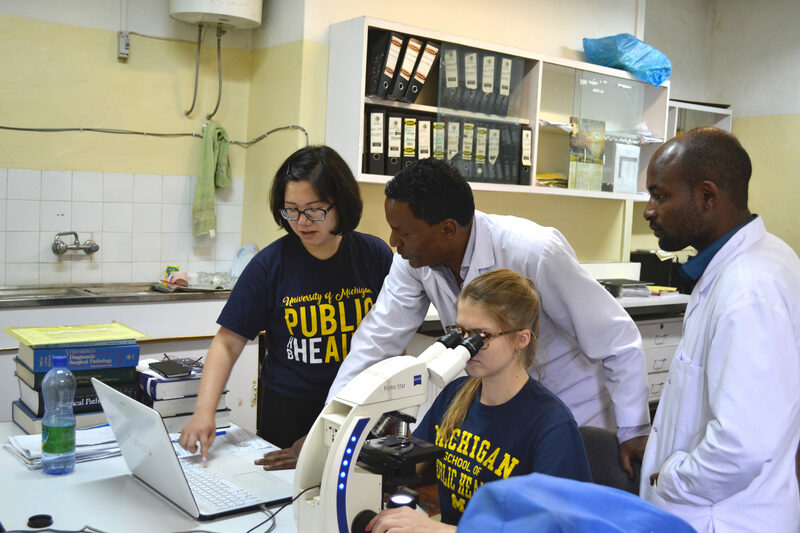 Within the U-M Medical School alone, nearly 50 investigators from 15 departments are involved in research in Ethiopia. Their interests include family planning, organ transplant, surgical simulation, medical education and postgraduate training in various specialties. “We have to form partnerships to solve society’s problems and approach it with knowledge appropriate to the culture,” said Fisseha, who is the top strategic adviser for Tedros, the first African director of the World Health Organization. 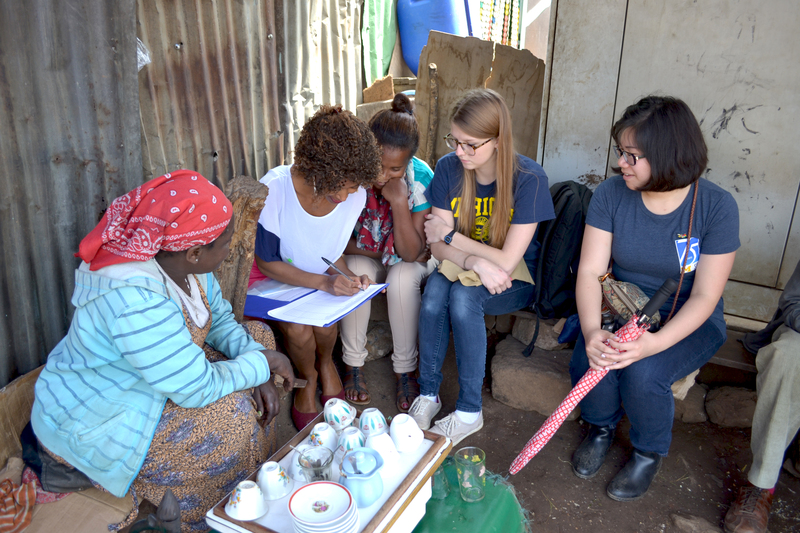 To understand cervical cancer in Ethiopia, U-M’s Rozek has developed a new screening and survey of women. She hopes to compare it with results from other countries in Asia and the Middle East. “The global burden of cancer is increasing at unsustainable rates, with the largest increases in low- and middle-income countries,” Rozek said. By looking at cancer around the world, she hopes to develop targeted prevention strategies and guide policy recommendations. Djimandjaja and Bouchard, who conducted the survey and collected samples from 200 women in four neighborhoods with the help of health workers, say they learned a lot about the effort, patience and resilience it takes to successfully implement a public health intervention. Rozek and the students hope to share results from the study this fall with Woldeab, the nurses and the patients. “We expect this collaboration to be the start of a long partnership,” Woldeab said.